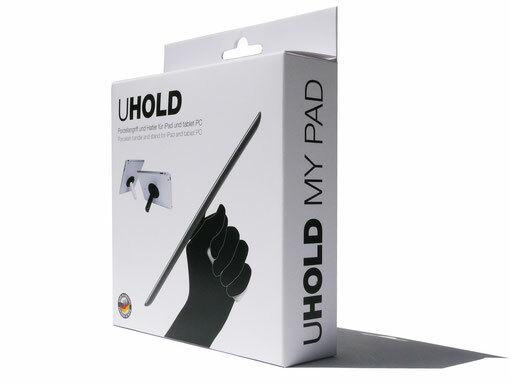 UHOLD is the first universal handle for all tablet PCs. 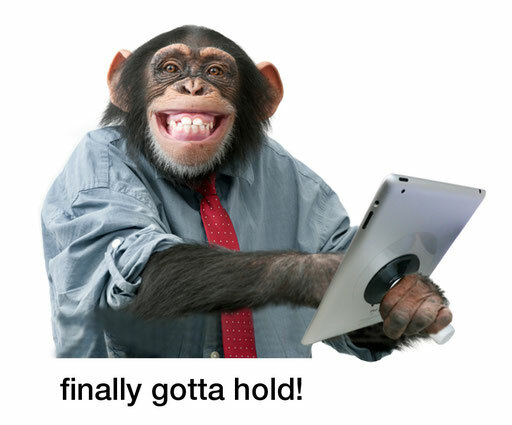 While mobile using of a tablet PC it is very difficult to hold the device securely. The solution is UHOLD. 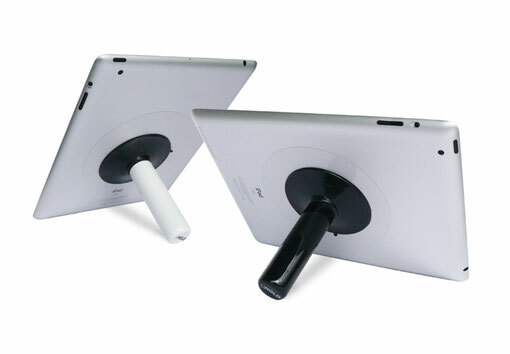 Its ergonomic holding position guarantees secure and fatigue-proof hold of iPad & Co. Creating videos and fotos, writing, surfing and posting- Thanks to UHOLD with only one hand! 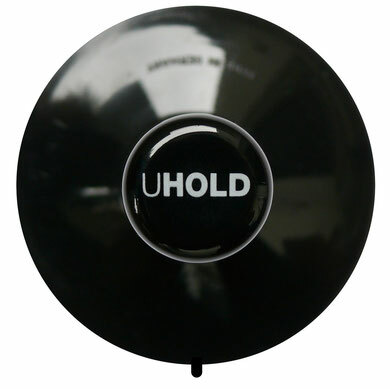 Additionally UHOLD acts as a save stand while cooking, watching videos, chatting or simply for placing on the table. 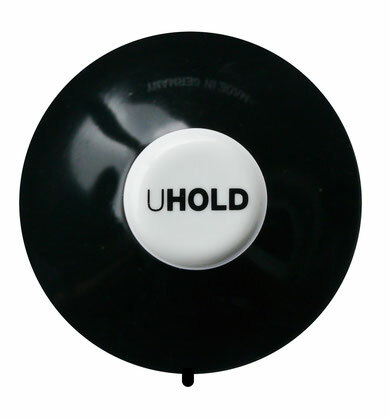 The handle part is made of solid porcelain and printed with the UHOLD logo. It feels comfortable and high-quality, it is break-proof and has a perfect grip. 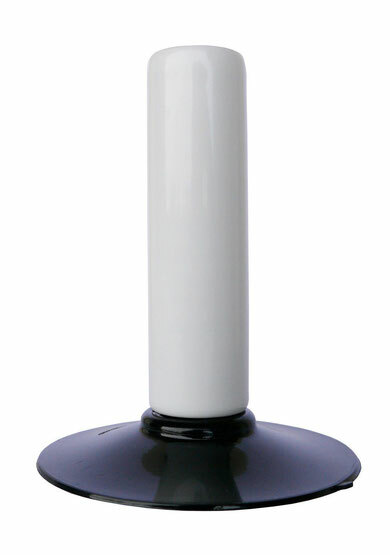 The suction cup connecting the handle to the device is a precision product made in germany as well. By correct application with the transparent sticker included it has a bearing force of 40 Kg. It can only to be taken off by using the integrated take-off-flap. 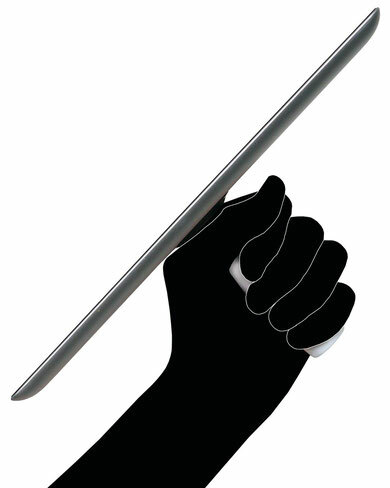 The flexible connection at the intersection to the handle avoids damaging the device. The suction cup can be attached and taken off easily at the reverse of the device. As often as required. UHOLD comes in an attractive package including instructions for use and two transparent foil stickers.